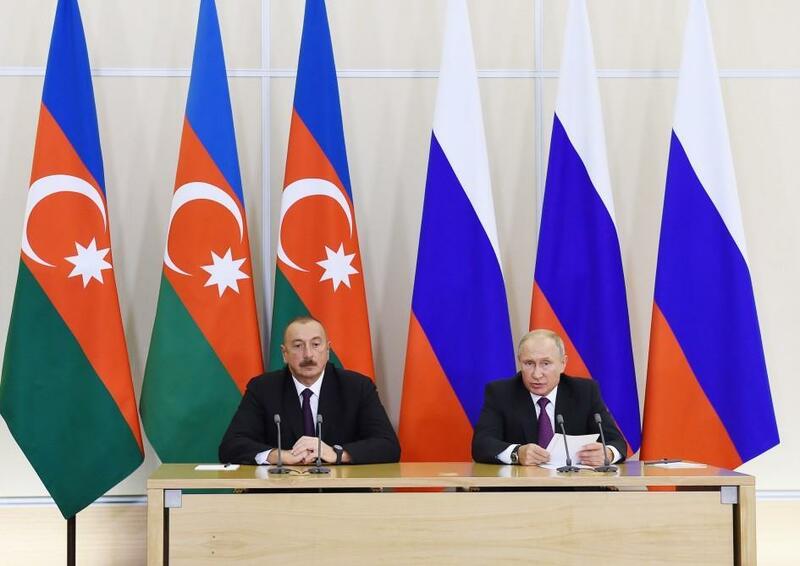 Today’s talks will give an additional impetus to further developing the entire complex of Russian-Azerbaijani relations, said President of Russia Vladimir Putin Sept. 1 at a press conference following his meeting with President of Azerbaijan Ilham Aliyev in Sochi. “First of all, I would like to highlight the Action Plan on Developing Key Areas of Cooperation. This programme document includes roadmaps on such important issues as increasing trade and mutual investments, creating new transport routes and expanding humanitarian cooperation, including cultural and tourism exchanges,” Vladimir Putin added.